Typically, a vision benefits package provides free eye care services and eyewear within fixed dollar amounts in exchange for an annual premium or membership fee and a relatively small co-pay (fixed dollar amount) each time you access a service. A discount vision plan, on the other hand, provides eye care and eyewear at discounted rates after you pay an annual premium or membership fee. Both kinds of vision insurance can be custom-designed to meet the requirements of a wide range of customers, including school districts, unions, and big and small companies. 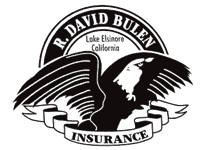 Contact R. David Bulen Insurance Agency to find out what you need to feel secure with the vision packages you supply.